We manufacture PSA oxygen plant using the latest PSA (Pressure Swing Adsorption) technology. Being the leading PSA oxygen plant manufacturer, it is our motto to deliver oxygen machinery to our customers that is at par with international standards and yet is very competitively priced. We use premium quality materials bought from the best suppliers in the industry. Oxygen generated in our PSA oxygen generator meets the requirements of industrial as well as medical applications. Numerous companies from around the globe are using our PSA oxygen plant and are generating oxygen on-site for running their operations. Oxygen produced in our high purity oxygen generator meets the standards of US Pharmacopeia, UK Pharmacopeia &Indian Pharmacopeia. Our oxygen generator is also used in hospitals because the installation of oxygen gas generator on-site helps the hospitals to produce their own oxygen and stop their dependency on oxygen cylinders bought from the market. With our oxygen generators, the industries and medical institutions are able to get uninterrupted supply of oxygen. 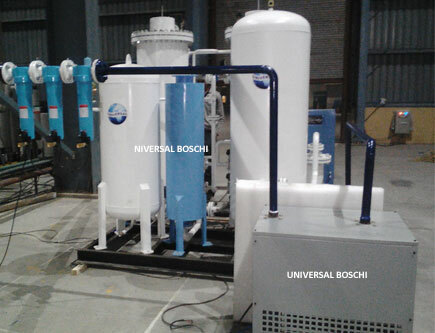 Our company uses cutting-edge technology in the making of the oxygen machinery. Fully automated- systems are designed to work unattended. 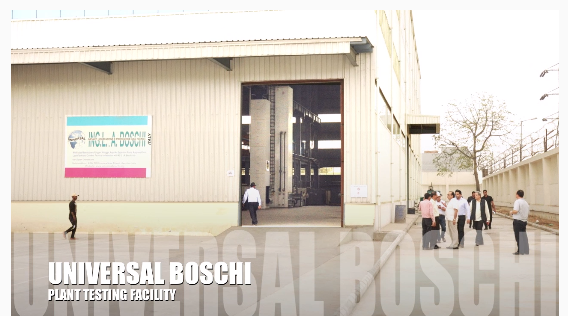 PSA plants are compact taking little space, assembly on skids, prefabricated and supplied from factory. Quick start-up time taking only 5 minutes to generate oxygen with desired purity. Reliable for getting continuous and steady supply of oxygen. Durable molecular sieves that last around 10 years. 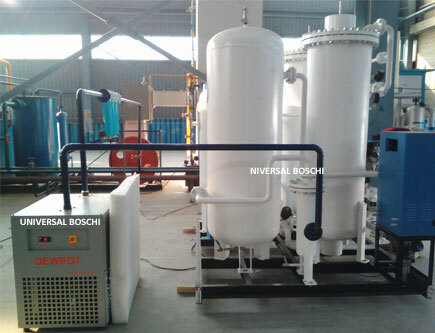 PSA oxygen generator plant is fabricated using advanced Pressure Swing Adsorption technology. As is well-known, oxygen constitutes around 20-21% of atmospheric air. PSA oxygen generator used Zeolite molecular sieves to separate the oxygen from the air. Oxygen with high purity is delivered whereas the nitrogen absorbed by the molecular sieves is directed back into the air through the exhaust pipe. Pressure swing adsorption (PSA) process is made up two vessels filled with molecular sieves and activated alumina. Compressed air is passed through one vessel at 30 degrees C and oxygen is generated as a product gas. Nitrogen is discharged as an exhaust gas back into atmosphere. When the molecular sieve bed is saturated, the process is switched to the other bed by automatic valves for oxygen generation. It is done while allowing the saturated bed to undergo regeneration by depressurization and purging to atmospheric pressure. Two vessels keep working alternately in oxygen production and regeneration allowing oxygen is available to the process.